Nihon Seimei Bldg. collapsed at the middle, near Sannomiya Station. 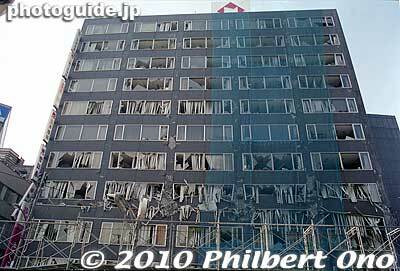 It's hard to imagine what would've happened if the quake struck during working hours with people working in this building.